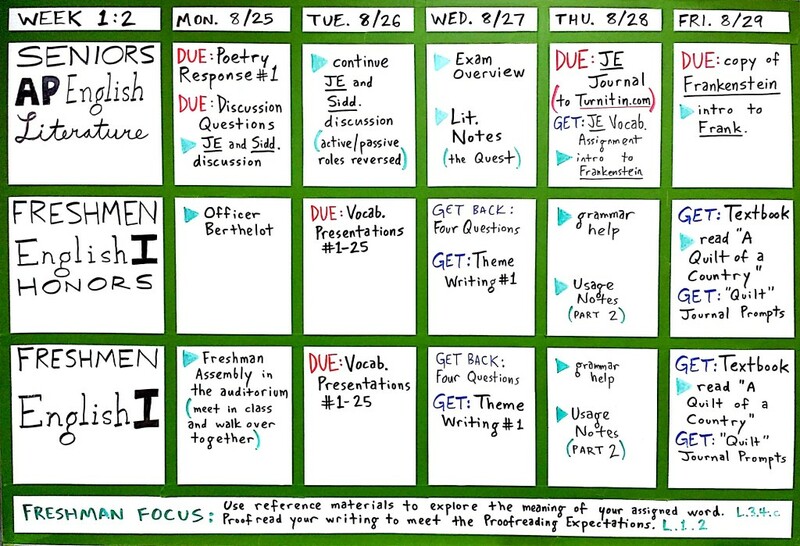 Blue GETs or ► on the agenda indicate a handout or notes being given in class. 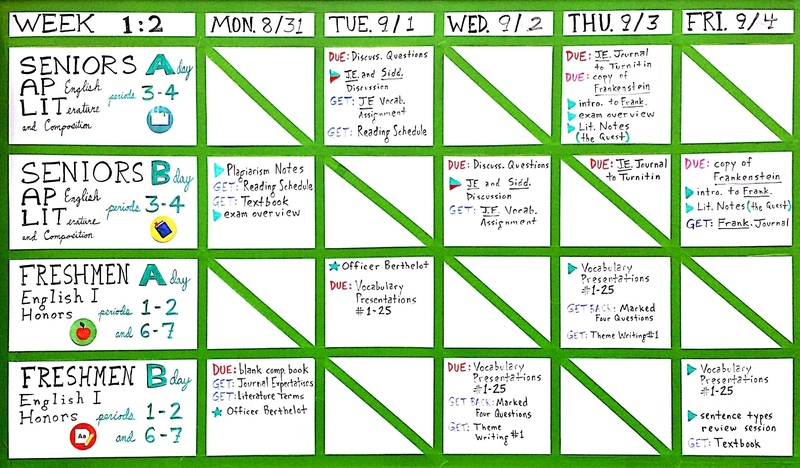 Green ►s or ★ indicate classroom activities (e.g., groupwork, lectures, lessons). 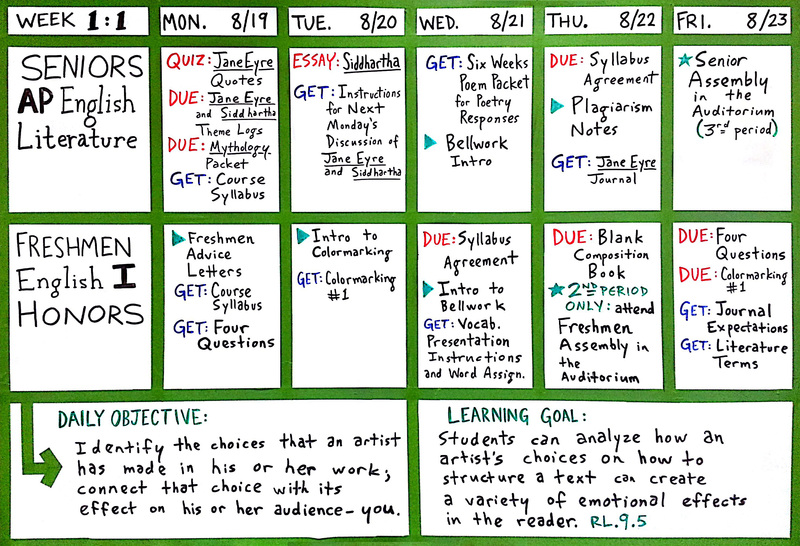 Red words like DUE or QUIZ indicate an assignment due date or assessment. Welcome to a new school year! I’ve posted the week’s agenda for all to see. This is a weekly occurrence, usually done on Thursday afternoon for the week which follows. Please refer to the key above to make clearest sense of the agenda. 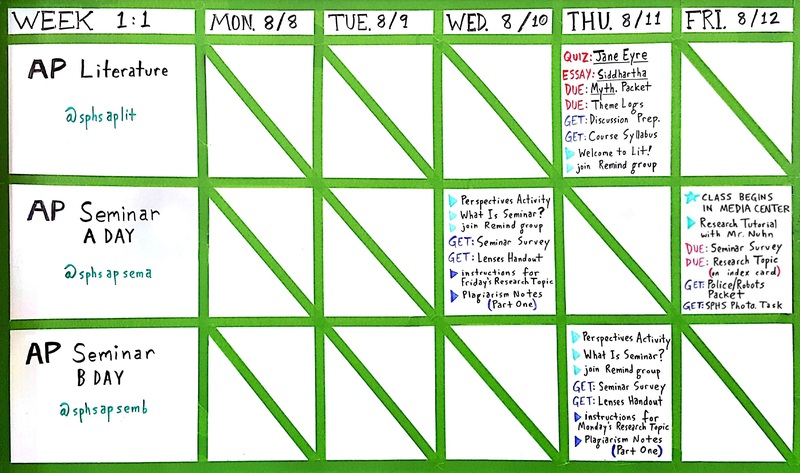 You can also click on the agenda board for a larger zoom-able image. 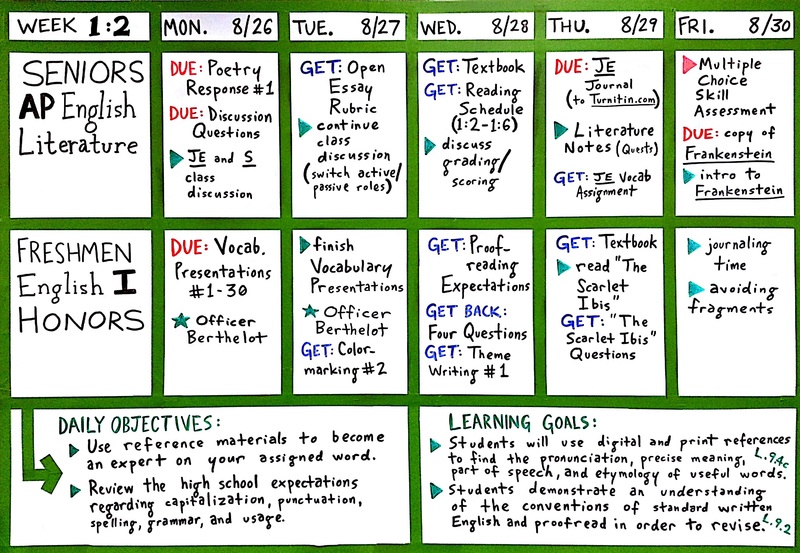 Below, you’ll find downloadable versions of this week’s in-class handouts along with a few other helpful documents. Blue GETs on the agenda indicate a handout being physically distributed in class. 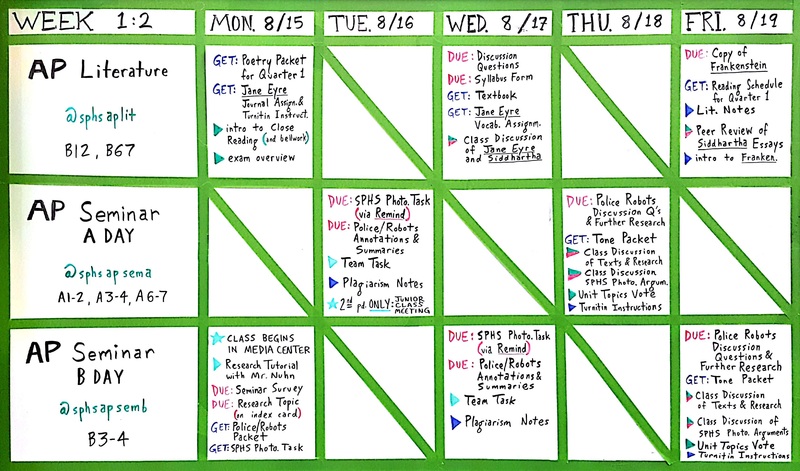 Green ►s indicate classroom activities such as groupwork, lectures, and lessons. Welcome to a new school year! I’ve posted the week’s agenda for all to see. This is a weekly occurrence, usually done on Friday for the week which follows. 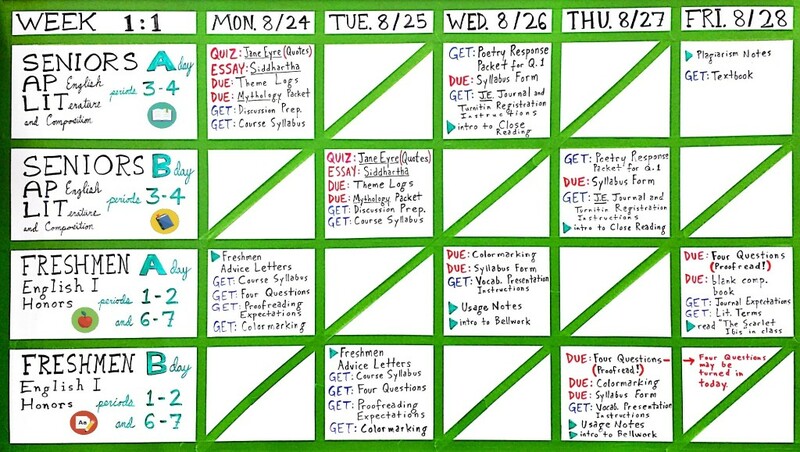 I strongly encourage students and parents to check the weekly agenda in the case of a student being absent, being confused, or simply being smart by planning ahead. 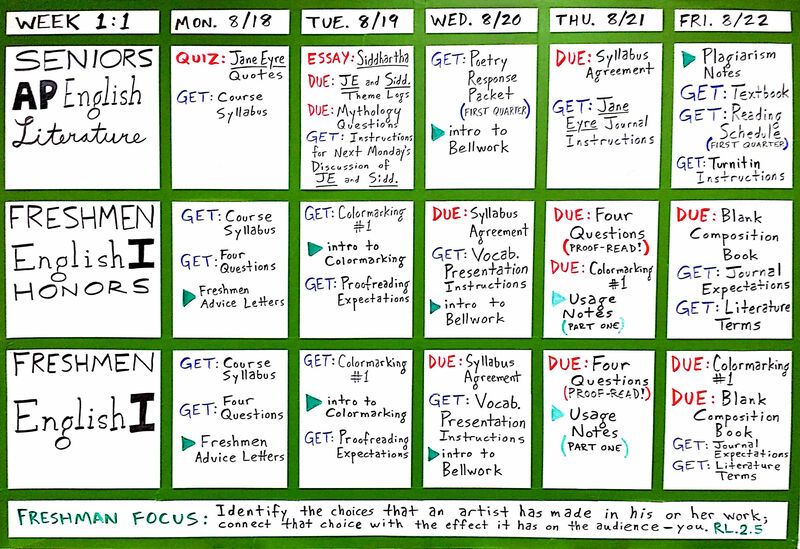 Below, you’ll find downloadable versions of this week’s in-class handouts along with a few other helpful bits.